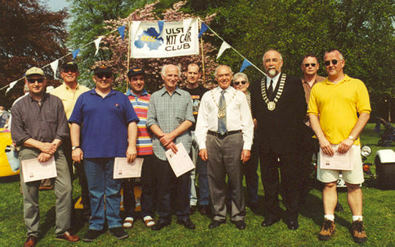 The Ulster Kit Car Club is the club for all local kitcar enthusiasts. 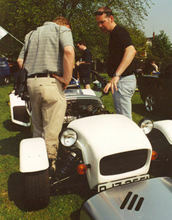 Whether you're a kitcar owner, builder or just looking to learn more about kitcars, the club is here to help. With over 70 members, just about all the major kitcar manufacturers are represented in our club. Enjoy our website, and if you are a local kitcar enthusiast, don't be afraid to contact us! Send us a quick message to let us know you're out there and what kitcar you've got. See the largest gathering of kitcars in Ireland. We welcome all kitcar drivers to bring their car along on the day. We also welcome the public along to see the cars and talk to the owners about building and owning a kitcar. 12/09/2003 - Cars added to Gallery. 05/08/2003 - events, for sale updates.